The Sennheiser IE80 In-Ear Noise Cancelling Travel Headphones may be the finest pair of ear canal phones on the market, with dynamic speakers, neodymium magnets and up to 26 dB noise suppression. Upgrade your portable audio experience. 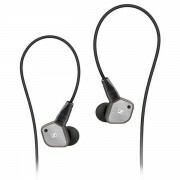 The Sennheiser IE80 features high-fidelity stereo sound and high noise attenuation with an enhanced design. Encased in a brushed-metal housing and rugged, interchangeable cable, it is built for maximum robustness and flexibility. 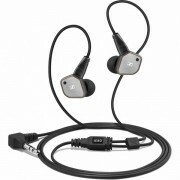 They also feature a unique technology that enables sound-tuning of bass response. A world of premium audio awaits your discovery. 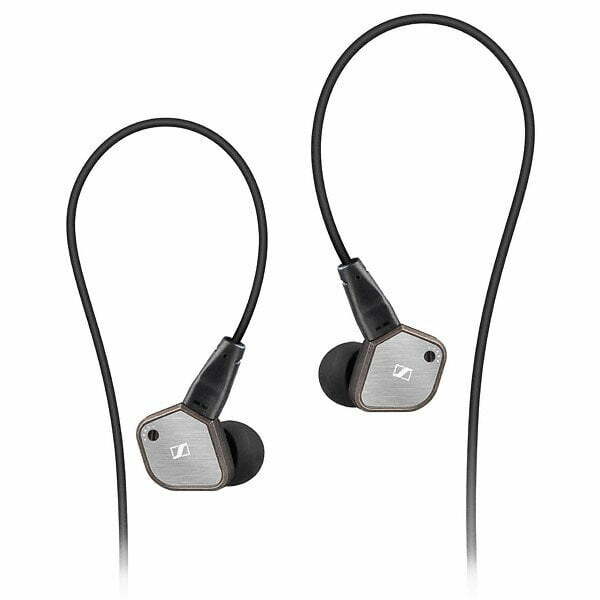 This is your chance to enter and experience a world of high-end audio; the Sennheiser IE80 was developed from the ear-canal monitoring headphones used daily by professional musicians and engineers worldwide. Music with exceptional sonic accuracy and clarity, together with high levels of noise isolation, awaits you. With durable brushed-metal housing and rugged, interchangeable cables, these are truly built to last. Unique technology also allows you to fine-tune the bass to your own personal preference. A must-have for any audiophile.